Just regular folks. : We love New Jersey. It always seems to be New Jersey that we are traveling to. 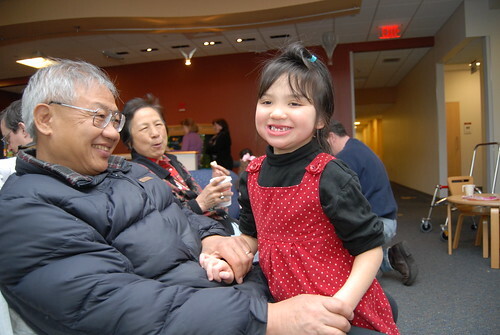 This past weekend, we went to the NJ Rett Clinic over at Rutgers University. This is the fourth time we've gone and we are pros now. I remember the first time we went, I was just so amazed at seeing so many girls with Rett Syndrome all in one place. 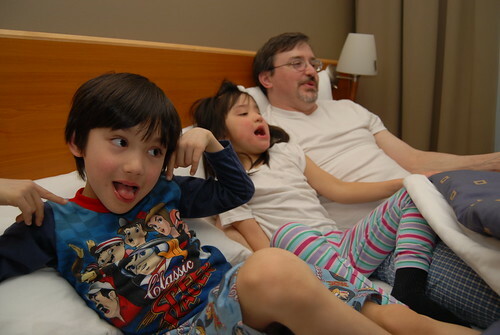 Here we are at a hotel the night before - relishing in hotel TV. Everyone wanted to watch HGTV. They all are fascinated by room makeovers. TV continues to enthrall the next morning. Finally at the clinic, we were in and out in less than 2 hours. They do the most complete and consistent body measurements that we have on Edda and then they ask how Edda's doing and then we ask questions.